What comes to your mind when we say the phrase- free stock photos? People in suits shaking hands?! Don’t fret we have some awesome sources for free stock images you’re going to love! Stock photos are a necessary addition to your blog posts, articles, or social media content. They add a visual flavor to your content and help you get attention from your audience. However, finding awesome high-quality stock photos that are free, is a big challenge in itself. There are so many sites that charge for every image you use… We want to help save you time and money by putting the very best free stock image resources in one place. Have fun exploring the treasures in these free stock image websites! Pixabay offers a huge collection of free stock photos (claiming to be over 1.5 million! ), vectors and art illustrations. All photos are released under Creative Commons CC license for anyone to use them for free. Users can explore new images, sort images by photographers, cameras, and editors choice photos. Pixabay even offers free stock videos to be used by brands and creatives for free! An awesome free resource indeed! Want a black and white photo for added curiosity and authenticity? New Old Stock offers collections of vintage photos, curated from public archives. However, the website mentions that these images are free of any known “copyright restrictions.” You can still use these images, although you might want to read up on the rights before you use them for your commercial projects. ISO republic is another website that provides you with free stock images for your next creative project. All the images are, CC licensed, meaning you can use them for commercial purposes. ISO Republic offers users the ability to sign up for their newsletter and receive photos right to your inbox! Another great resource for free stock images, Negative Space has a beautifully curated website to find stock images easily. With carefully segregated categories like architecture, art & design, fashion, business and many more, it’s easy to find the stock image you are looking for. StockSnap provides a huge supply of free stock images with a clean website for finding just the right picture. A major problem with stock photo websites is that there are just too many photos to choose from. StockSnap tackles this problem by providing users with a tag-based category system to help you browse and locate the images that convey the right mood, feeling, sense, or content for your needs. One of our go-to websites for free stock images, Pexels provides high quality and completely free stock photos licensed under the Creative Commons Zero (CC0) license. Pexels also has a leaderboard of the most viewed photographers on the platform, which is a nice addition to find great photographers and awesome stock images. Burst is a free stock photo platform that is powered by Shopify. burst offers a large library of high-resolution, royalty-free images, taken by Shopify’s global community of photographers. Burst is specially catered towards designers, developers, bloggers, and entrepreneurs to help them kickstart their marketing campaigns or online stores. Burst provides pictures for your website, blog or online store, school projects, Instagram ads, Facebook posts, desktop backgrounds, client work and more. Whether you’re a hobby or professional photographer, food blogger, or a passionate foodie, Foodiesfeed provides you the best free stock images for food! All photos on FoodiesFeed are licensed under the Creative Commons Zero (CC0) and are free for use without attribution. Tired of using the same overused stock images for your brand or blog? Simply submit your email and enjoy a new batch of photos delivered to your inbox every 30 days by Death To Stock. With a mission to provide high quality, authentic and beautiful images for your brand, Death To Stock takes its name seriously! Startup Stock Photos provides free stock images for startups, bloggers, publishers, websites, designers, developers, and creators. If you are a startup, this is a great resource to get free stock photos for commercial use. Started by Italian photographer Daniel Nanescu, Spiltshire is another great website that offers free stock images to designers, bloggers, website creators, social marketing gurus, companies, and everyone else. Even though Splitshire’s catalog might be low on volume, the quality of the photographs is definitely up there! Designer Jay Mantri has built up a portfolio of some really amazing stock photography to be used by anyone. All these crisp images are licensed under creative commons for everyone to enjoy and share! Picjumbo is free stock photo site created in 2013 by designer & photographer Viktor Hanacek. When all of the regular stock photo sites rejected his photos for “lack of quality”, Viktor did what any creative would do- start on his own! Two years later, people have downloaded more than two and half million pictures from Picjumbo and that number continues to grow to this day as PicJumbo turns 5. RawPixel is among the top contributors to Pexels.com and also have their own stock photography website to show off their great photographs. Rawpixel claims to have the most diverse collection of stock photos in the industry, which might just be true! Apart from free stock images, RawPixel also offers free PSD Mockups and Vectors to cater to all your design needs. Apart from having a huge catalog of free stock images, Pikwazard also offers tools to make basic edits like adding text overlays to images before downloading. Reshot boasts of a massive library of stock images that are exclusive to their platform. Built for people who are sick of bland stock photos, Reshot provides free to use stock images that are unique and high quality. With over 300,000 high-resolution images from more than 50,000 contributors, you’ll surely find some great stock photos while browsing Unsplash. With 10 new photos added every 10 days, and every photo published licensed under Creative Commons Zero, Unsplash is an ideal resource to find awesome free stock images. Gratisography prides itself in being the world’s quirkiest collection of free high-resolution pictures, comprised of the world’s best, most creative images. Gratisography claims that the free stock images on their website are exclusive, making it a great resource. Needless to say, all images on the website are completely free of copyright restrictions. Want a feminine touch to your stock photographs? tyledStock offers feminine stock photography for products and services that cater to women or if you need to add additional females to your branded content. Their collection of stock images is free for your commercial & personal works. 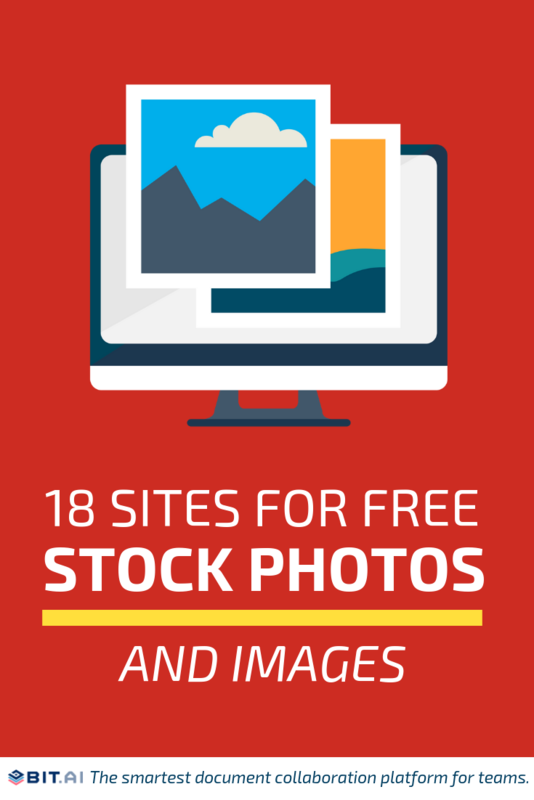 So there you have it, folks, 18 best websites to get free stock images. These websites have been a blessing for startups, big corporations, marketers, social media managers, and bloggers worldwide. At the same time, these websites act as a great platform for hobby and professional photographers to get noticed and spread their work around the globe. So what are you waiting for? Go find your favorite free stock iamge today!